Lemax Dog In Snow Figurines (Set of 2) depicts a young boy outside in Winter throwing a snowball for his trusty dog to catch. Relative newcomer to the seasonal Lemax Village miniatures range joining the Vail Village themed range in 2015, suited for placement in a Winter or Christmas Lemax display. 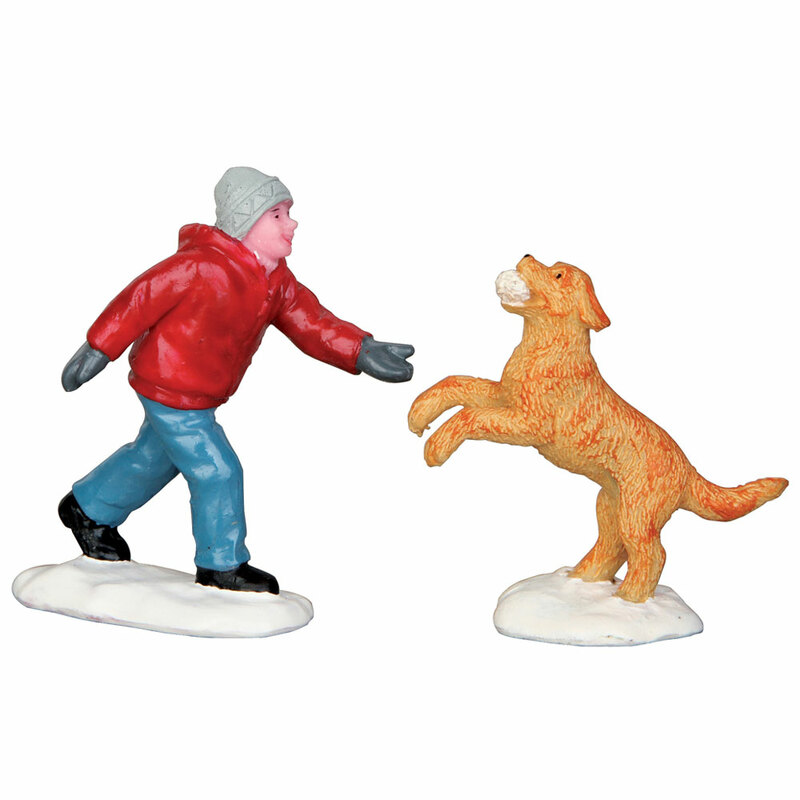 The Dog In Snow set comprises of two individual hand painted polyresin figures on individual snowed bases to compliment your seasonal Lemax Village Christmas display.